A fluffy 3-egg omelette stuffed with spinach and buttery brown mushrooms and topped with melted yellow cheddar cheese. Served with hash browns and a side of fresh fruit. I am not a fan of fluffy omelettes – I tend to prefer them thin – and I don’t like the cheese on top. But the omelette at the Melrose is the exception to both of these rules for me. They always put just the right amount delicious buttery mushrooms, plenty of spinach, and melted cheese in (and on) it. And I love this omelette precisely BECAUSE it is so fluffy. They just do it right. The Melrose is the perfect diner: the food is great, the staff is friendly, the price is reasonable, and there is never a line (but it never feels empty). It is about as unpretentious as it gets, and I have been consistently impressed with the quality of the food . The place is just surprisingly good in every way. My four-year-old also loves the Melrose. When he saw me taking a photograph of my omelette he asked if I’d like to take a picture of his meal for my food blog. 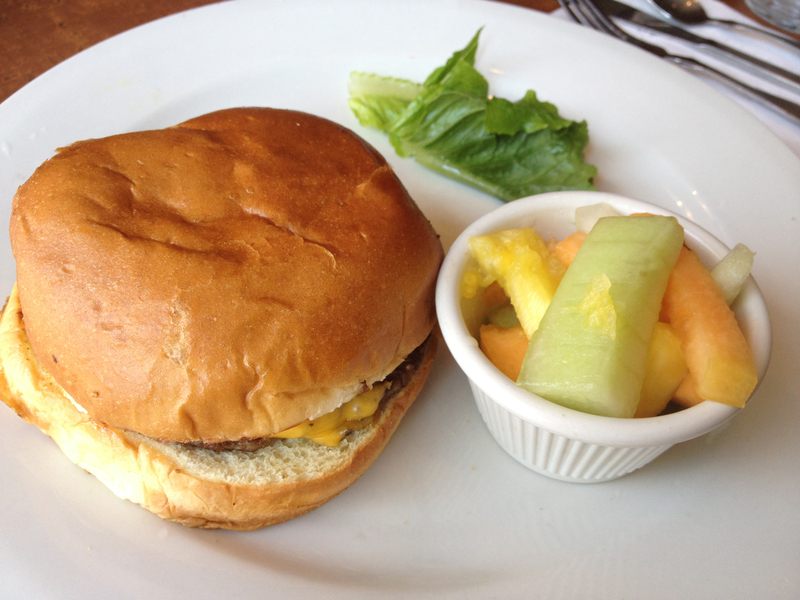 Please see picture of cheeseburger below.